The weekend is approaching! Usually on Saturday morning, we enjoy a breakfast of Pancakes or French Toast. Now, easy is really good! I’ve gotten in the habit of using cinnamon bread while preparing Fantastic French Toast. No cinnamon and no sugar to add into the egg/milk mixture. How easy can that be? I only need to remember to purchase the cinnamon bread. I also use Soy Milk. The Vanilla flavored and the Original flavored Soy is always found in my fridge. Either can be used or 1% Milk. 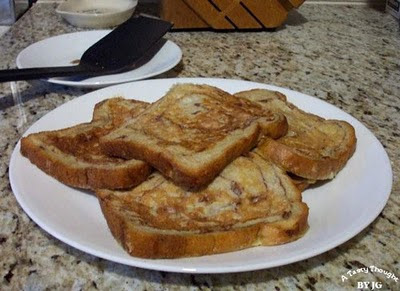 Preparing Fantastic French Toast (click here for recipe card) with Pepperidge Farm Cinnamon Bread is great! After dining on Sausage Soup last week (portions are in my freezer, too), the balance is preparing other foods with less cholesterol. I use less whole eggs and many egg whites when making this yummy breakfast. Keep in mind that two egg whites equal one whole egg when cooking. This is one of our favorite breakfasts! Ah, and the extra slices are stored in our freezer for more scrumptious breakfasts on busy mornings. 3. Heat non-stick griddle or non-stick skillet on medium heat. Over the years my family has enjoyed this breakfast so many times. One year my younger son had a great suggestion – use Pepperidge Farm Cinnamon Raisin Bread rather than plain cinnamon bread. Ah, that is so tasty! Will you be making French Toast this weekend for breakfast? There is a “special” on Italian Sausage in my local grocery store. Quickly, I envision a pot of thick, savoury, Sausage Soup simmering on my stove. 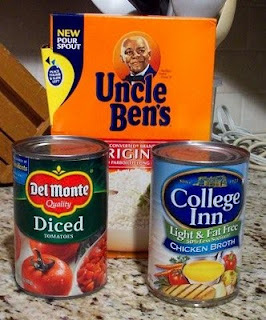 This easy to prepare soup tastes great and smells so good on any chilly winter day! There are few ingredients and it is so easy to prepare. Cook Time: About 30 - 45 minutes – I let it simmer longer. 1. Brown sausage in a skillet after removing from casings. Break meat into pieces as it is browning. 2. Place cooked meat in large pot or dutch oven. Add chicken broth and heat. 3. Add in rice, tomatoes, chopped spinach and black pepper and bring to a simmer. 4. COOK 12-15 minutes or until rice is tender. After dinner there will be many remaining servings in the pot. A couple of servings will be stored in my fridge. Fortunately, my freezer always has a little more space and this soup stores well in the freezer. After the extra soup has cooled, it will be placed in Ziploc Storage containers, labeled and then placed in my freezer. The rice does absorb the liquid, so additional broth will be added before serving again. Whenever we want another bowl of this hearty, colorful and scrumptious Sausage Soup (click here), I defrost the soup overnight in my fridge. Before heating, place the contents in a small pot along with about 10 oz. of additional Chicken Broth. More broth if desired. Reheat and it will be ready to eat. We always enjoy eating it! It all started with the purchase of a quart of Buttermilk last week. My Hubby saw the container in our fridge and commented to me that a plate of Buttermilk Pancakes would taste so good for Breakfast on the weekend. Oh, he was right! In my usual manner of thinking, the Buttermilk Pancakes routine brings out the container of Quaker Oats for Awesome Oatmeal Pancakes. But not this time. I envisioned a plate of light, fluffy Blueberry Buttermilk Pancakes dripping with Maple Syrup. Not being able to locate my recipe, I sat down in front of my computer and “Googled”. The recipe that I printed was easy, sounded scrumptious and I had all of the ingredients. 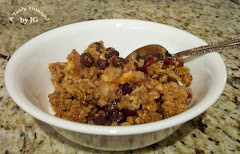 Thank you BURYGOLD for posting your mouth-watering recipe on allrecipes.com. On Saturday morning those pancakes hit the spot! 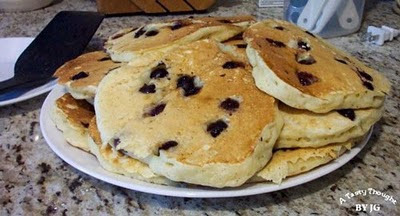 I also added defrosted Blueberries to the batter after the batter was placed on my griddle. Buttermilk Pancakes II (click here) are absolutely delicious! They are so light and fluffy! So Yummy! We did have extras. After they cooled, they were placed in sandwich bags, then in Ziploc Freezer bags and placed in our freezer. More yummy breakfasts await us. That was a great idea that my Hubby had! It’s the first week in January, already! The decorations have been packed away for next year. Oh, these mornings are so brisk! Wearing boots whenever heading outside is definitely a must. 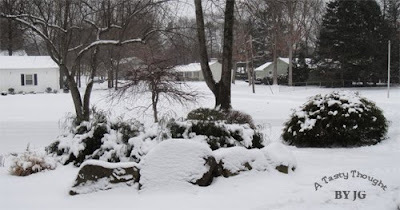 It is chilly outdoors, but … winter in New England is so pretty! When it is snowing outside I still enjoy catching an individual snowflake on my glove or mitten and then looking at its design - that is until it melts. That empty fridge still beckons me. My Hubby & I enjoy eating Yogurt most days at lunchtime. This afternoon my two Donvier Yogurt Makers were set to work. Later today, sixteen containers of creamy white delicious yogurt will find their places on the top shelf in our fridge. Eating Yummy Yogurt (click here) flavored with Freezer Jam (click here)will bring back memories of this past summer’s sunny, hot days. Ah, New England! Do you enjoy eating Yogurt? My favorite flavors are Peach and Strawberry. What are yours? 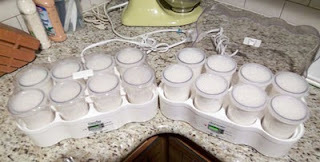 Do you have a Yogurt Maker?